Page updated 2006 April 21. Audio Levels In the early days of broadcasting, most programming was live, equipment was unreliable and budgets were generous. Often, a trained engineer was at the controls at all times mainly to "ride gain" and insure that that audio levels were consistent. The measurement tools included ears and a large VU meter. However, this manual process was fraught with inconsistency, especially as FCC operator requirements were relaxed and less-trained personnel were expected to perform additional tasks. To make matters worse, some managers and advertising producers wanted their station or commercial to stand out as the loudest, such as the infamous "Hey Culligan Man!" water softener ad. Over time, consumers became so irate at level inconsistency that hearings were held in Congress. In response, the FCC applied pressure to broadcasters who in turn increased their reliance on modulation monitors and audio limiters to stay legal while maximizing loudness. With great precision, modulation monitors display modulation on a meter as a percentage of the limit and via a "peak flasher" to show peaks the meter does not catch. "Staying legal" is as simple as keeping the light from flashing. Some monitors even provide a numeric count of how many times the limit has been exceeded. Early broadcast audio limiters did a poor job of controlling level - only marginally insuring compliance with regulations and at the same time introducing a variety of annoying "pumping" and distortion artifacts. 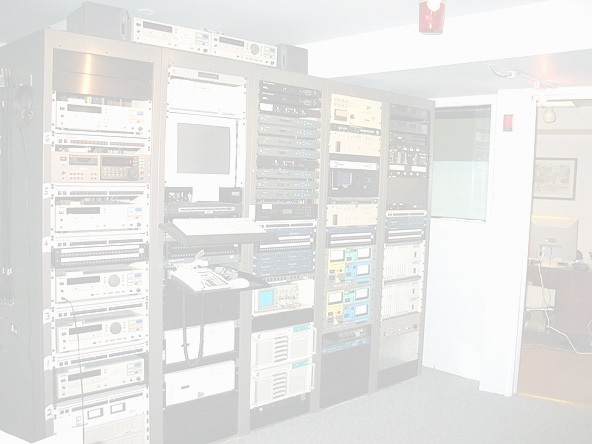 Modern broadcast limiters are much improved and include a compressor function to prevent levels from going too low where they would become "buried in the noise". These limiters do a much better job of assuring legal audio with minimum artifacts while providing as much "presence" as possible. Casual measurements of nine stations in a large market show peak audio levels within 4 dB over a short time frame - a reasonable deviation. While the cable television industry can count on broadcast channels to have fairly uniform control over excessive modulation, the same cannot be said for the hundreds of satellite channels available for carriage. To avoid consumer complaint, some cable systems pass all analog channels through audio compressor/limiters in the cable head-end. The FM modulation system used for analog radio and television has a natural excess of noise at higher frequencies. To reduce this annoyance, designers of the FM modulation system for broadcasting decided to boost high frequencies before modulation (pre-emphasis) and reduce them in each receiver after demodulation (de-emphasis). They considered this a good solution; since programming of the day had little high frequency content, boosting it would not be a problem. However, microphones used today for audio capture have radically better high-frequency performance. Synthesized sounds with ample high-frequency content are commonplace. To compensate, broadcast limiters include "pre-emphasis protection", where loud high frequency sounds are limited more dramatically than low frequency sounds. The result is legal but unsatisfactory - loud sounds tend to sound "dull" and void of high-frequencies. While broadcasters apply strict control over excessive modulation, this does not result in uniform loudness. Human hearing does not judge loudness the same way a modulation monitor reads percent modulation. Our ears are most sensitive to sounds in the frequency range of speech intelligibility - a natural design consistent with our need to communicate verbally. The ear also senses an average of dialog level over time. In the early days of "loudness wars", CBS Labs developed a "Loudness Meter" designed to mimic human loudness sensitivity. However, it's complexity-induced high cost and lack of incentive resulted in few being purchased by broadcasters. The proper use of a loudness meter to control audio levels would require that some programming be reduced in level so that their loudness match other programming of equal modulation but lower loudness. But many broadcasters prefer that modulation is maximized. They are happy if one program ends up sounding louder than others by leaving it at full modulation. While typical measures used for broadcasting assure a reasonable consistency in loudness levels for the consumer, there is a regrettable side effect. In these analog systems, there is no way to keep dialog consistent, remain legal, keep the noise low, and still provide consumers with the kind of symphonic sforzando or theatric explosion common in CDs and DVDs. Instead, these dramatic events are reduced to a same volume as speech. Multiband process, 2 or 5 band DSPV3.0. With stereo coder. Stereo Spatial Enhancer plus diffusion. This is the first for broadcast use enhance stereo unit from early 80's with the unigue way of Mr. Eric Small. Spectral Purity, Multiband Compression Algorithm. IDT Dvp Fm From France. All in one box lower price. Italian replica of Orban 8200? Only for the purists a Bob's way.